[S1487] 1860, Ashmore Township, Coles County, Illinois, p. 276. [S2871] 1870, Ashmore Township, Coles County, Illinois. [S5403] 1940, Oakland, Alameda County, California. [S8299] 1910, Yuba County, California. [S7986] 1880, Sutter County, California. [S8298] 1900, Sutter County, California. [S1735] 1930, Oakland, Alameda County, California. [S220] Emma Belle (Rowley) Mannon Dunsmore, Martha G. (Oros) Cline. [S657] 1850, District 19, Edgar County, Illinois. [S1282] 1860, Ward Township, Clarke County, Iowa, p. 371. [S895] 1870, Ward Township, Clarke County, Iowa, p. 108B. [S1161] 1880, Ward Township, Clarke County, Iowa, p. 135A. [S1278] 1900, Ward Township, Clarke County, Iowa, p. 150A. [S3126] 1870, Washington County, Virginia. [S1354] 1880, Holston Township, Washington County, Virginia, p. 260C. [S4908] Church of Jesus Christ Latter-day Saints, VA, Marriages, 1785-1940. [S8233] 1910, Ashe County, North Carolina. [S8232] 1900, Ashe County, North Carolina. [S8235] 1920, Ashe County, North Carolina. [S8236] 1930, Ashe County, North Carolina. [S8238] 1940, Ashe County, North Carolina. [S487] 1860, Martinsville, Clark County, Illinois. [S755] 1820, Orange County, Indiana. [S657] 1850, District 19, Edgar County, Illinois, p. 192. [S487] 1860, Martinsville, Clark County, Illinois, p. 113. [S2883] 1870, Humbolt Township, Coles County, Illinois. [S1176] 1880, Humbolt Township, Coles County, Illinois, p. 99C. [S5069] 1800, Surry County, North Carolina. [S1141] 1850, Wilkes County, North Carolina, p. 302A. [S1141] 1850, Wilkes County, North Carolina, p. 355A. [S5130] 1900, Abingdon District, Washington County, Virginia. [S3890] 1860, Wilkes County, North Carolina. Photograph* circa 1905� Mary Elizabeth Mock and Aaron Franklin Mannon were photographed circa 1905. [S737] 1880, Starr Township, Cloud County, Kansas. 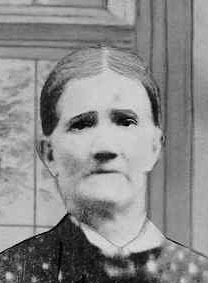 [S136] Ruth (Mrs. Alvin) Mannon, Martha G Cline. [S101] 1900, Miller Precinct, Lincoln County, Nebraska. [S138] Hattie (Mannon) Nyberg, Martha (Oros) Cline. 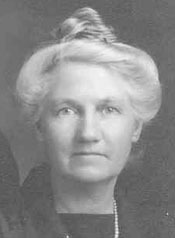 [S736] Helen M (Mrs. Samuel E.) Watters, Martha G Cline. [S2088] 1910, Maxwell Precinct, Lincoln County, Nebraska. [S2099] 1920, Lincoln County, Nebraska. [S1512] 1930, Maxwell, Lincoln County, Nebraska, ED# 56-26, sheet 1A. [S6768] 1940, Maxwell, Lincoln County, Nebraska. [S7987] 1880, Guelph Township, Sumner County, Kansas. [S7988] 1890, Kingfisher County, Oklahoma. [S2804] 1850, Washington County, Virginia. [S3888] 1860, Washington County, Virginia. [S740] 1880, Elbridge Township, Edgar County, Illinois. [S249] George Mock, 30th and 135th IL Vol. Inf., Civil War. [S740] 1880, Elbridge Township, Edgar County, Illinois, p. 54A. [S1627] 1910, Wichita, Sedgwick County, Kansas. [S1564] 1920, Denver, Denver County, Colorado. [S2504] 1930, Denver, Denver County, Colorado. [S5414] 1940, Denver, Denver County, Colorado. [S2998] 1910, Riverside, Montrose County, Colorado. [S740] 1880, Elbridge Township, Edgar County, Illinois, p. 50A. [S4288] 1930, Montrose, Montrose County, Colorado. [S5415] 1940, Montrose, Montrose County, Colorado. [S173] Ronald W. Floyd, Martha G. Cline. [S2387] 1910, Oklahoma County, Oklahoma. [S3673] 1920, Clay County, Kansas. [S3080] 1930, Clay County, Kansas. [S7873] 1940, Clay County, Kansas. [S2228] 1870, Lucas Towndhip, Effingham County, Illinois. [S4679] 1900, Jasper County, Illinois. [S2644] 1880, Jasper County, Illinois. [S5004] 1910, Jasper County, Illinois. [S4847] 1920, Jasper County, Illinois. [S5095] 1930, Jasper County, Illinois. [S5413] 1940, Mesa County, Colorado. [S655] 1870, Lincoln Township, Black Hawk County, Iowa. [S656] 1880, Lyndon Township, Furnas County, Nebraska. [S71] Nancy Rodgers, Certificate of Death. [S391] Obituary of Nancy M. Rodgers, Rodgers, NM, Obituary. [S835] Ancestry Genealogical Library, Early American Marriages: Midwest Region. [S1069] 1910, Josephine County, Oregon. [S657] 1850, District 19, Edgar County, Illinois, p. 156A. [S2963] 1856, Putnam, Linn County, Iowa. [S1485] 1860, East Oakland Township, Coles County, Illinois, p. 24. [S165] Lewis L Parker, Martha Cline and Mabel Oros. [S145] Rowley Family, Holy Bible. [S1649] 1900, Duluth, St.Louis County, Minnesota. [S1069] 1910, Josephine County, Oregon, p. 146A. [S1294] Ancestry.com, Oregon Vital Records: Deaths 1903-1998. [S1140] 1850, South Division, Surry County, North Carolina, p. 185A. [S1354] 1880, Holston Township, Washington County, Virginia, p. 259B. [S2811] Ancestry.com, VA Washington Co., Deaths, 1886-96. [S5536] 1940, Inglewood, Los Angeles County, California. [S5211] 1930, Elbert County, Colorado. [S5778] 1940, Elbert County, Colorado. [S3309] California Marriage Index 1960-1985. [S176] Gray, Stretcher and Mock Families, p. 73. [S176] Gray, Stretcher and Mock Families, p. 76. [S3965] Ancestry.com, Marriages of Surry County, North Carolina 1779-1868.